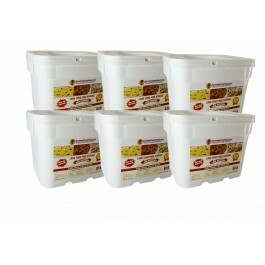 Buy Survival Cave Food 2880 Serving Bucket , from SurvivalCaveFood.com for $2,759.00 only in My e-commerce. Freeze dried food long-lasting food storage by Survival Cave Food. 2880 helpings gives 2,000 calories a day for 1 individual for 8 months! 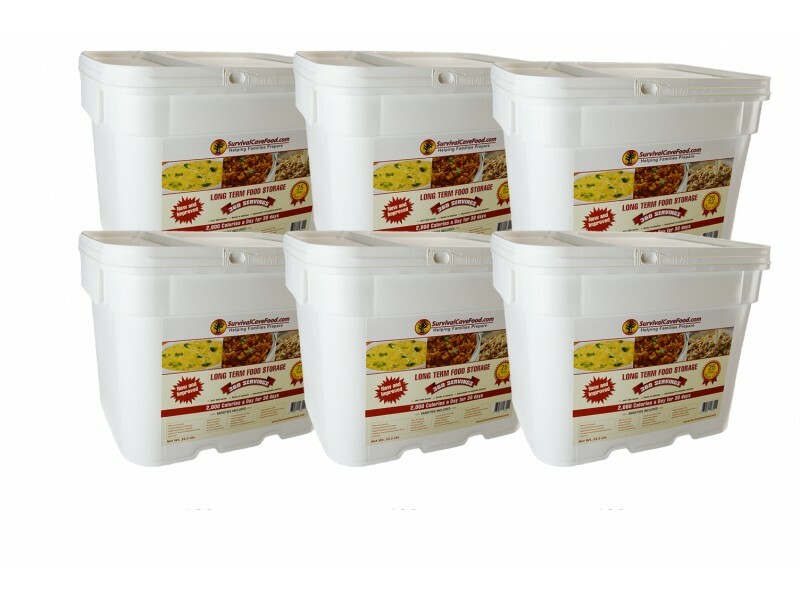 Survivalcavefood freeze dried emergency food storage foods are an incredible selection for any food storage program! Every meal variety comes in pouches which are resealable so you only need to remove the number of helpings you would like and save what's left for later. 2880 helpings gives 2,000 calories a day for 1 individual for 8 months! Survivalcavefood freeze dried emergency food storage foods are an incredible selection for any food storage program! Every meal variety comes in pouches which are resealable so you only need to remove the number of helpings you would like and save what's left for later. Survivalcavefood provides great tasting meals that are cost effective and nutritious for your family, with 1/3 less salt per helping than lots of others. • Freeze dried food which will last for 20 years! This light weight freeze dried food will come in conveniently storable buckets supplying 2000 calories a day for Two hundred and forty days or 1000 calories per day for 480 days. All freeze dried meal is packed to stay fresh for Twenty years. Each pouch of freeze dried emergency food has a re-sealable zip lock that allows you to have the helpings you want after which you just reseal the bag for future use. Food costs continue to increase with no end in sight and this freeze dried food container will be your solution to safeguard your loved ones and spend less on emergency food storage. Are you ready for emergencies? Do you have a sensible Food Storage Plan? Could there be food shortages that freeze dried food could help through? Do you think you're spending too much in order to stock up on emergency foods you know you absolutely need?